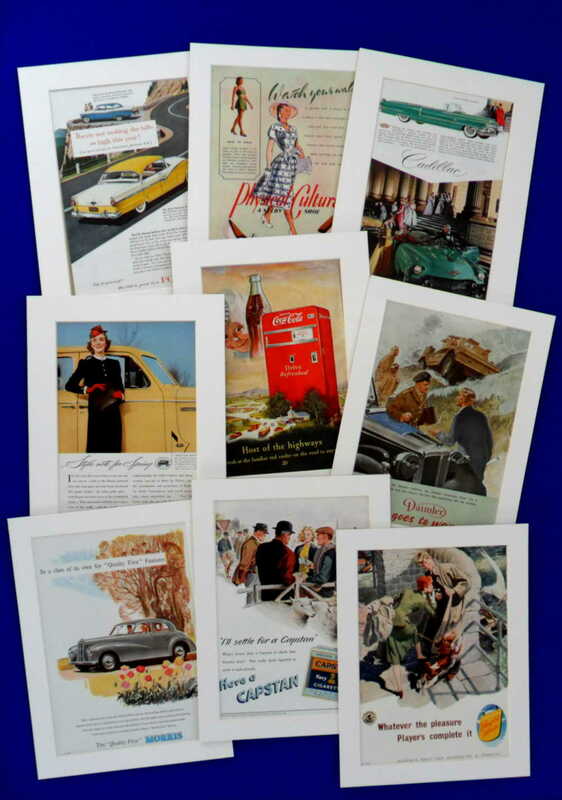 We have large stocks of original vintage advertising pages taken from magazines from the 1930s to 1960s. We offer original (and where allowable reprints) of pages for sale. Themed interior design packages tailored to clients requests also available.